It’s an all too common occurrence for people to put off scheduling regular appointments with their dentist. If the practice they visit only offer basic services, they can be even more hesitant to deal with a second or third office when referred to a specialist. At White River Family Dentistry, our patients appreciate being able to have all phases of their treatment performed in one convenient, familiar location. Dr. Christopher Tung and Dr. Charlene Dulce Diemandezi combine their extensive training with a caring, personable approach to providing comprehensive dental treatment in Auburn for all ages. Contact us today to schedule your appointment. For Dr. Diemandezi and Dr. Tung, the best part of practicing comprehensive family dentistry is when patients are satisfied with our care enough that they trust us to treat their children as well. Our team establishes a trusting partnership by educating both adults and children about dentistry and how good oral health habits help them maintain a beautiful smile throughout their lives. During the first appointment, we take the time to get to know you before conducting a complete exam and thorough cleaning. Patient comfort is important regardless of age, but we are especially careful to explain each step in our process to help alleviate any concern. Additionally, our office is outfitted with state of the art equipment to provide precision and accuracy in any necessary procedure to your treatment plan. 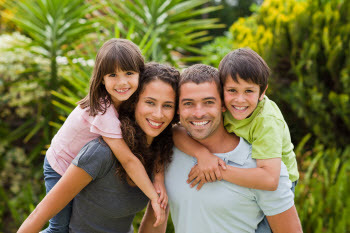 When seeking treatment from Dr. Tung and Dr. Diemandezi, you’re treated like family. We’re mindful of your overall health as well as your smile, so we check for any dental complications that may have an adverse effect on your heart health, which is why we educate you on effective preventive measures as well. Our dentists have a conservative approach, so we only recommend necessary procedures to restore and maintain your smile’s health, function, and beauty. We ensure you understand and are comfortable with the recommended treatment path. We verify your insurance information prior, so you are aware of your out of pocket expense. Most procedures can be conducted right in our office, but if more significant oral complications are present, we may refer you to a trusted local specialist that shares a similar mission and philosophy regarding patient care. Schedule Your Appointment in Auburn Today!